When will be Alaska's Ultimate Bush Pilots next episode air date? Is Alaska's Ultimate Bush Pilots renewed or cancelled? Where to countdown Alaska's Ultimate Bush Pilots air dates? Is Alaska's Ultimate Bush Pilots worth watching? 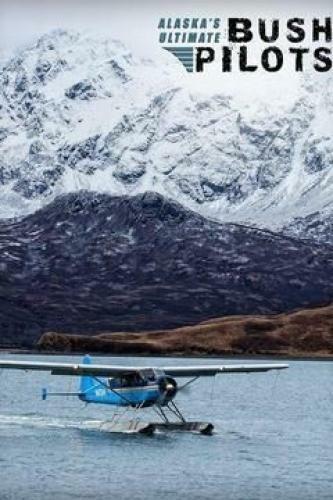 Island Air, flying out of Kodiak Island, Alaska, is home to the bravest pilots on the planet. Alaska's Ultimate Bush Pilots, produced by Orion Entertainment, is a new television series in production and scheduled to air on the Outdoor Channel in mid-2015. The Island Air team pilot de Havilland Beavers - single-engine, high-wing, propeller-driven bush planes - fly anywhere they need to go. Their mission is to move explorers and adventure seekers, hunters and anglers, tourists and locals, archeologists and surfers and prospectors deep into the Kodiak back country; taking off and landing on water, dirt, dry stream beds, on the sides of mountains, amid bolder fields, even on glaciers.Navigating the island's geography requires extreme flying skills, but it's the weather that makes their world utterly unpredictable. Flying around fog, through rain, snow, and sleet, transporting essential supplies and life-saving materials to the ends of the earth is all in a day's run for a Kodiak bush pilot and the staff and crew of Island Air. But when the weather doesn't cooperate, tensions run high - it's the pilots who must make the call about whether it's safe to fly - and staying grounded is seldom a popular decision. It may be a cliché, but it's true: there are bold pilots and there are old pilots, but there are no old, bold pilots. Experience the adventure, the romance, the freedom, the inherent danger in the day-to-day operations of coolest outdoor job in the world. Joel and Mark Barker tempt fate and fly into no man's land to find and salvage a white airplane in a snowy forest, and fight hypothermia along the way. The Tanalian bush pilots transport extreme paragliders to Moose Creek, in the Talkeetna Range, for a once-in-a-lifetime airborne experience. Tanalian Aviation pilots Joel Natwick and Josiah Freeman assist with a search and rescue for an experienced hiker deep in the winter wilderness. Tanalian Aviation battles winter weather to ferry ice climbers onto the Knik Glacier. Alaska's Ultimate Bush Pilots next episode air date provides TVMaze for you. EpisoDate.com is your TV show guide to Countdown Alaska's Ultimate Bush Pilots Episode Air Dates and to stay in touch with Alaska's Ultimate Bush Pilots next episode Air Date and your others favorite TV Shows. Add the shows you like to a "Watchlist" and let the site take it from there.